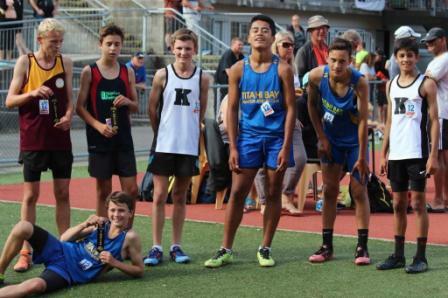 Throughout the season, 6 Inter-Club meets are held at various venues in the greater Wellington area. 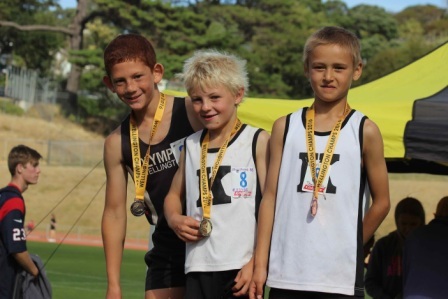 These are open to all registered members of clubs affiliated to the Athletics Wellington Junior Committee. We encourage all our athletes to compete at these meetings as they are a chance to compete against athletes from other clubs and a great way to make new friends. Another bonus is that regular competition is the best way to improve your personal bests. All the Inter-clubs are scheduled to start at 10am and are usually completed by early afternoon which leaves plenty of time to enjoy the rest of the day so they are a great start as a family day out. Note that all athletes must wear the club uniform when competing at Interclubs and display a "Colgate Age Flash". Every effort will be made to notify cancellations via email and the front page of the website, but a cancellation line is also operated by Athletics Wellington - 083295590. 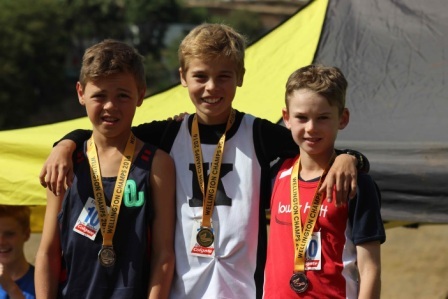 The Wellington Junior Championships are held over 2 weekends in March at Newtown Park. These Champs represent the culmination of all your training throughout the season and this is your last chance to set new PB’s for the season. Note that the Club enters a number of relay teams based on the numbers per age group and gender that have entered from the Club. Relays are run on the second Sunday. The Colgate Games has been running for the past 20 years and are a great athletic and social event. The emphasis is on participation and enjoyment. Entry is open to any registered club athlete. Athletes may compete in up to five events in their age group, plus relays. 7 - 9 years: 60m, 100m, 200m, Discus, Shot Put and Long Jump. 10 - 14 years: 100m, 200m, 400m, 800m, 1500m, Walks, Discus, Shot Put, Long Jump, High Jump. 12 -14 years can also compete in the Hurdles.